Christmas is this week, which means family will be over to celebrate the holidays. 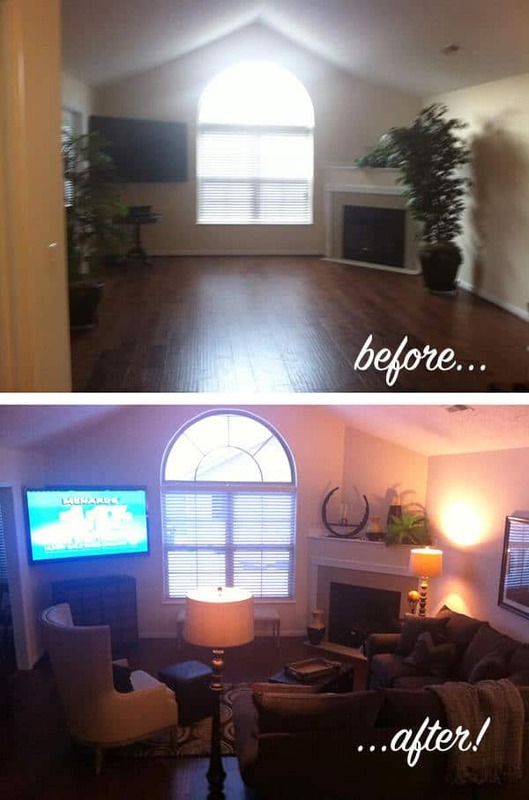 This #TransformationTuesday client will have a family room their family can now enjoy for the festivities! What a difference some furniture and accessories make! We were so inspired by the already existing infrastructure — the great window that lets in so much light — that we arranged everything (even accessories on the mantle) to draw your eye to the window. We even snuck some extra seating in under it! Merry Christmas from our family to yours. We’ll see you next week here on the blog!